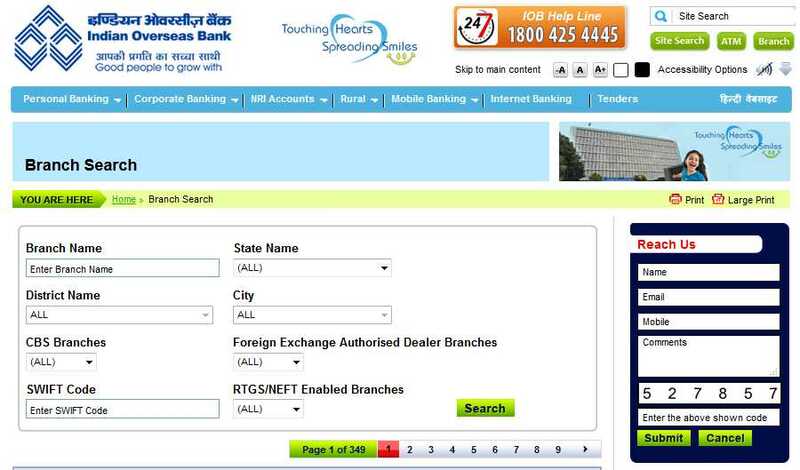 Can you me the contact detail and contact number of all the Branches of Indian Overseas Bank in Meerut as I want to check which is near by my residence so that I can open an account in it? Indian Overseas Bank (IOB) is a major public sector bank based in Chennai (Madras) having about 3700 domestic branches, including 1150 branches in Tamil Nadu, 3 extension counters, and 8 branches and offices overseas. It has an ISO certified in-house Information Technology department through which it has achieved 100% networking status as well as 100% CBS status for its branches. IOB also has a network of about 3300 ATMs all over India.